Things at UFO Conjectures have taken a markedly spiritual turn. 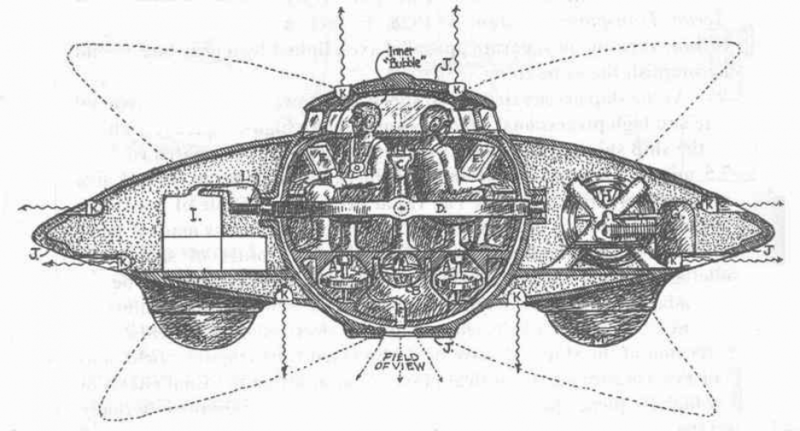 First, some thoughts on UFOs in the cosmos of Jesuit thinker Teihard de Chardin, then speculations about possible UFO sightings and extraterrestrial encounters in the Koran, and, finally, most interestingly, reflections on the failed promise of the flying saucers: namely, that they have yet to prove to be spaceships piloted by highly advanced beings with answers to our pressing material, and, most importantly, spiritual questions, e.g., “Why do we exist; what is the meaning of life? Why does evil exist?” etc. The spiritual significance of the UFO has long been with us and is well-studied (interested parties might consult The Gods Have Landed: New Religions from Other Worlds, ed. Lewis (1995)). The first contactee was arguably Emanuel Swedenborg, whose The Earths In Our Solar System: Which Are Called Planets, And The Earths In The Starry Heavens, Their Inhabitants And The Spirits And Angels There From Things Heard And Seen (1758) recounts his astral travels and meetings with the inhabitants of other planets. Some of Madame Blavatsky’s Ascended Masters hailed from Venus, the same who met with Guy Ballard beneath Mount Shasta in 1930, one of whom, who called himself Orthon, stepped from a Venusian scout ship in 1952 and shook George Adamski’s hand. Since, numerous New Religious Movements (NRMs) have been founded whose gods are extraterrestrial rather than supernatural (among them, The Aetherius Society, the Unarius Academy of Science, perhaps most famously the International Raelian Movement or most disturbingly Heaven’s Gate). Nevertheless, these NRMs seem only to pour old wine into new bottles, their gods the old deities in space suits instead of robes, at least as far as their revelatory function goes. The more secular version of this sentiment is one as complex as it is occluded. In the first place, it blends technological with moral if not spiritual sophistication. Any creature capable of inventing ways to travel to earth from a distant planet (or dimension or time) is thought as having to possess a philosophical knowledge equal to its technical know-how. This technological optimism is offered as grounds for the Search for Extraterrestrial Intelligence (SETI): any more advanced civilization we might contact will have likely encountered and solved the dire threats to the continued existence of our civilization if not species that that technological development itself entailed. The same notion inspires the utopian future depicted in the Star Trek franchise, where technology has solved the problems it led to, science and technology advancing hand in hand with social and moral enlightenment. Just why being “advanced” in this way should also entail an even further philosophical or spiritual enlightenment, one capable of answering “The Big Questions” (Why do we exist? What is the meaning of life? Why does evil exist?, etc. ), is an interesting question itself, but what is telling is how it seems to assume a concept of enlightenment that is all encompassing, failing to differentiate between the scientific, moral, philosophical, spiritual, and so on, and, most importantly, harnessing all development in the first place to the technoscientific. The history of the past century or so has disabused many of this idea of progress. The carnage of The Great War resulted from the collision of technical ingenuity and industry with quaintly outmoded ideas of how to conduct warfare. The resulting shock was in part expressed by Dadaism, which inferred that if what Progress had led to was the dead end of No Man’s Land, then radically other ways forward had to be found, ways which left behind the “Reason” or rationality that invented the machine-gun and poison gas and the values of the “West” that had inspired millions to march singing patriotic songs to their grisly mutilation and death. Such misgivings were only more gravely deepened by the use of the A-Bomb on Hiroshima and Nagasaki and the revelations of the organized mass murder in Europe that led to the coining of the expression ‘genocide’ and the juridical concept of “crimes against humanity.” In this latter context, two anecdotes illuminate the relation of technology to culture and morality. One famous concentration camp commandant would retire home in the evenings to relish playing Schubert on the piano in the warm bosom of his family, while a German philosopher laconically but not less perceptively summed up the Holocaust as the application of industrial agriculture to mass murder. Even the realms of science fiction and ufology, despite their ideological commitments, betray an awareness of how technological power and morality are uncoupled. The “invasion from Mars” is an old cliché, wherein the ruthless rapaciousness of the extraterrestrial invader is made all the more threatening by its technological superiourity. Likewise, the experiences of alien abductees at the hands (or claws) of their vastly more advanced abductors are famously cruel, both physically and emotionally, lacking empathy and compassion. Even if UFOs are spaceships from more advanced civilizations, the technical prowess they evidence hardly entails high morality let alone philosophical insight into perennial, metaphysical questions. And even if they descended as teachers, rapt and pious acceptance of their revelations would be a kind of spiritual suicide. For, over against revelation is enlightenment, whose watch word is sapere aude, dare to think…for yourself.